I like things to be predictable. I revel in the knowledge that summer is hot, winter is cold, and should I choose to indulge in too much cheese, I’ll sweat like I’m wearing a winter coat in summer. My migraines themselves are even more predictable. I may not be able to foresee when or where one will strike, but they’re painfully predictable in their structure. Once the cycle begins, I can count on the red-hot pain in my head, the nausea, and the chills. My biggest migraine surprise, however, has been observing my four-year-old’s reaction to them. It’s like nothing I could’ve predicted. My migraines are the great crowd displeaser. My neurological condition takes away days of my life, leaving friends and family behind. They force me to cancel plans and rearrange schedules in favor of spending the day in a darkened room with a scorching-hot hibachi grill attached to my noggin. The adults around me see this, and it’s a strain maintaining our close relationship. My son, Richard, sees this and simply sees his mom. 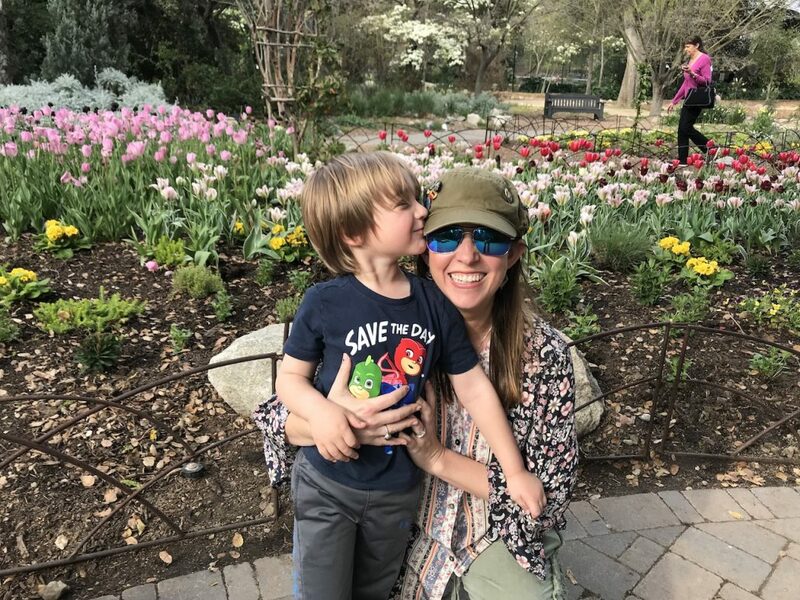 For Ritchie, I’ve always been a mom with migraines. My son takes an altogether different route. “You will feel better! You’re with me,” Ritchie whispers in my ear during a full-blown attack. Me and my son Ritchie at Ren Faire. My son has managed to always do the one thing others have missed: just love me. His sense of empathy has grown along with him, and I find this incredible because all I see is the pain my migraines cause. I’m constantly waiting for the other Converse sneaker to drop. How will our bond continue to develop if I’m not able to give Ritchie the consistency I feel he needs? Even if math were my strong suit, I wouldn’t be able to calculate how many hours I’ve spent crying thinking about how I don’t want my health to hurt the connection we share. That would crush me. I’d have to find a way to remove my heart because I simply wouldn’t want it anymore. I worry that it must be difficult to trust me to take care of him when it seems like I can’t take care of myself. Love and trust go hand in and hand, and my greatest fear is that he’d stop loving me because I’m not a constant presence. How could I blame him? Kids bond through play and consistency, and my migraines take away both. My son has managed to always do the one thing others have missed: just love me. With me not around to foster it, I’ve worried that our bond would simply wither away, what with me in bed all the time. Slugs aren’t much fun to play with, and a slug in bed with a migraine is even less interesting. My health might create a distance that I won’t be able to bridge. My head hurts and my heart aches. Part of a mom’s job is to fix what’s broken for her kids, but I’m not even able to even fix myself. Am I even a real mom if I’m not able to be there for my son? My son knows that love means wanting someone to feel better, not for you, but for them. “I’m always with you…” I hear Ritchie say as I lay there like a slug. Each time I fear I’ve let him down by canceling a bath time disco party, he’ll knock me over with a supportive truth. 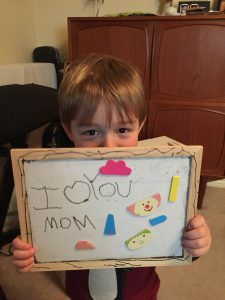 “Mom, I’m here for you,” is one of his recent favorites. My little guy is only four, but in that moment I wonder how old he truly is. 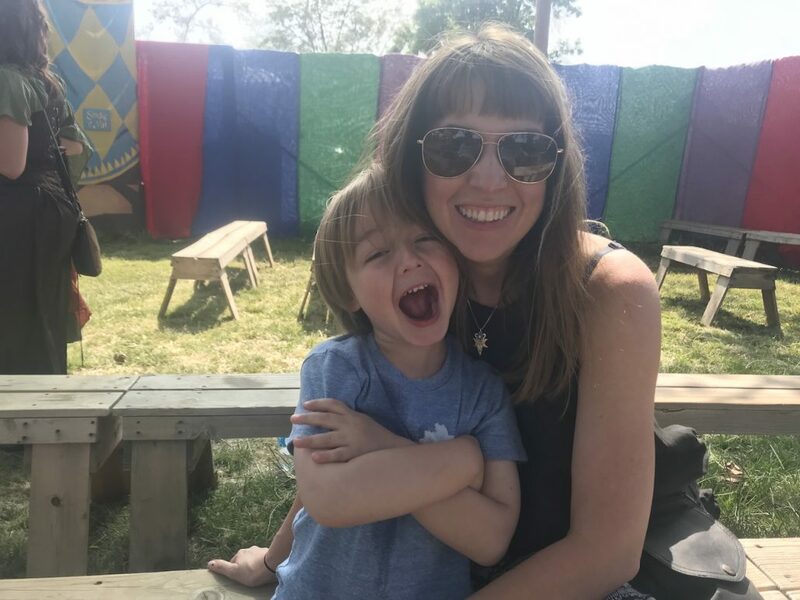 Then there are his words I replay in my head as secret mantras on rainy migraine days: “Mom, I’ve got you.” I pull that one out like an old family photo whose edges are frayed from too much handling. It stays in my heart always. If words could heal, my migraines would have been vanquished the moment Richard learned to talk. His love is big, and the love behind his words is even bigger. He has said, “Maybe one day your head will say, ‘No more migraines!’” These wishes for me hold such a purity of spirit it resonates instantly in my gut. I’m surprised his level of belief hasn’t summoned The Blue Fairy from Pinocchio to grant his wish. His wishes may not have cured my head, but my heart has been healed a thousand times over. I can feel the truth in his words. A phrase as simple as, “Feel better,” takes on a new meaning because of its intent. Ritchie doesn’t need me to feel better so we can keep our date night or meet a work deadline. He wants me better because he knows I feel bad. His words are not just missives to placate my sickness or thrown together phrases of stuff I might want to hear. I was worried that our bond would wither away: Instead, it has flourished. Empathy is a powerful tool. I was worried that our bond would wither away: Instead, it has flourished. Empathy is a powerful tool. 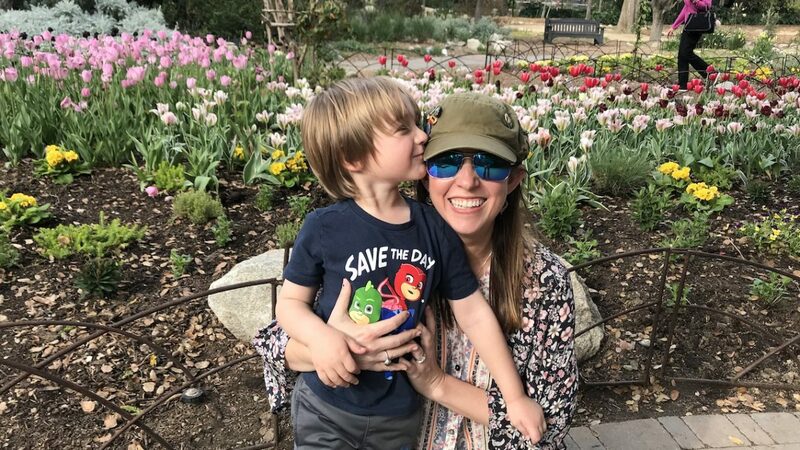 My migraines have given my kid the opportunity to practice learning empathy. This has helped him learn at a level most kids don’t have. During a recent 48-hour attack Ritchie tiptoed into the room to check on me. He quietly pulled up the blankets that had escaped to my knees all the way up to my shoulders and patted me. When I felt better later that night I swept him up into a huge hug and thanked him so much for his thoughtfulness. He smiled, proud of his actions. In a way, he has become his own instructor, translating for himself what kindness means and then sensing when his mom needs some. My child takes this understanding everywhere. Sure, he can turn into a four-year-old and decide that sharing isn’t his bag, but when he sees a friend hurting he will always help. He cheers up our family dog when she looks sad and will rescue bugs from the pool. My kid will help friends he’s just met play games and has given over his favorite foods when his best friend has run out. His kind-heartedness doesn’t just stop with me. It is just as much a part of him as my migraines are a part of me. 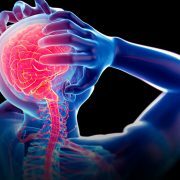 My daily migraines are a pain. When they first started, I tried to find the positive lesson in them. I figured there must be a reason that I was experiencing this condition. I wanted to find the reason so at least the hibachi grill torment would have meaning. As their frequency and intensity increased, I couldn’t find anything of value in them. What’s the benefit in pure pain? Not much—was my conclusion. I would never have imagined anything positive coming out of these migraines. Then I had my son. I would never have imagined anything positive coming out of these migraines. Then I had my son. “I know this is hard.” Like a tiny fortune-teller with a crystal ball to my heart, Richard has managed to find the perfect words for me. I’m amazed by my four-year-old. His ability to see me without all that adult pity and judgment is a wonder. His empathy continues to flourish, and our bond continues to grow. In his eyes, there is nothing broken about me. In my son’s eyes I am whole. There are days I still try to give meaning to my pain and learn a lesson. I’m still doing a poor job; however my son seems to have mastered a valuable one. Empathy is a quality that some struggle with all of their lives, and witnessing it first hand solidifies how powerful a virtue it truly it is. My kid has pulled out a life lesson from my migraines that I’m happy to give him. He’s doing a better job at learning something than I ever did. Perhaps this is the better of part of parenting—teaching him the lessons I could never learn.